Warren William: Villain, City Dweller. 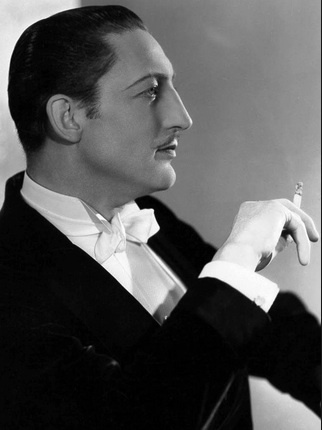 Actor Warren William (1894 – 1948) has been called the “king of pre-code” Hollywood. At the age of 26, he first appeared on Broadway, enjoying a successful run on the New York stage before going West under contract with Warner Bros. In films, William was best known for playing a ruthless tycoon, a man who seeks money and power; a man who disposes of women easily and heartlessly, the kind of character who “made life his plaything,” in the words of a trailer for his 1934 film, Bedside. Many of his films portray New York City in the 1930s; a portrayal that offers a rather biased view of the metropolis: the city was a jungle, a trap, a den of immorality that dazzles and seems to promise everything, but ultimately only destroys. This portrayal has a long history, but it is particularly interesting to view the ways that 1930s Hollywood deployed this analogy in reference to women. Indeed, the 1930s marked the first full generation of American woman who entered a new decade with a true and legal sense of freedom (the right to vote, of course, having only recently been granted to women). And many of these women were deciding that it was far more interesting to go to the big city to pursue one’s dreams than sit around at home. Who needed to settle down and get married?! A Career! Adventure! Freedom! Well, watch out, ladies, these films warned. Even the smartest of women could find herself prey to the likes of a man who embodied the very city itself: classy, sophisticated, and deadly. Why, a woman’s very innocence was at stake once a man such as William appeared on the scene. He was ready to exploit the “skyscraper souls” of New York. He was, in short, the perfect predator. 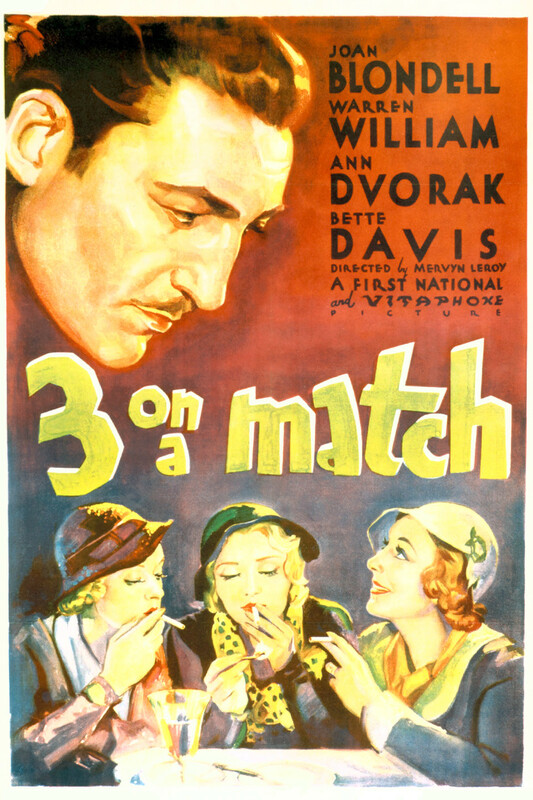 In the classic 1932 Three on a Match, three such women suffer different fates owing to their error (lighting their cigarettes on one match and thus dooming one of the trio). * But of course their real error was coming to New York in the first place: my goodness, ladies! You don’t even have a chaperone! Watch Out! It’s Warren William! Whether playing the charmer, the dashing tycoon, the heartless producer, or even the sympathetic husband as he occasionally did, William always seemed to appear out of nowhere (symbolically rendered by his larger-than-life head on many of the movie posters). He was there to make women’s dreams come true, but he always took something in return. In the racy Under Eighteen (1932), William’s character ( a “wolf in a silk dressing gown,” read the Brooklyn Daily Eagle’s review) exploits a poor seamstress, luring her to his penthouse apartment (complete with a rooftop swimming pool.) She needs help (money) desperately and he is only too willing to give her what she needs, just in return for a little something…..
“That fur can be yours. I just want what’s underneath it.” Under Eighteen with Marian Marsh. 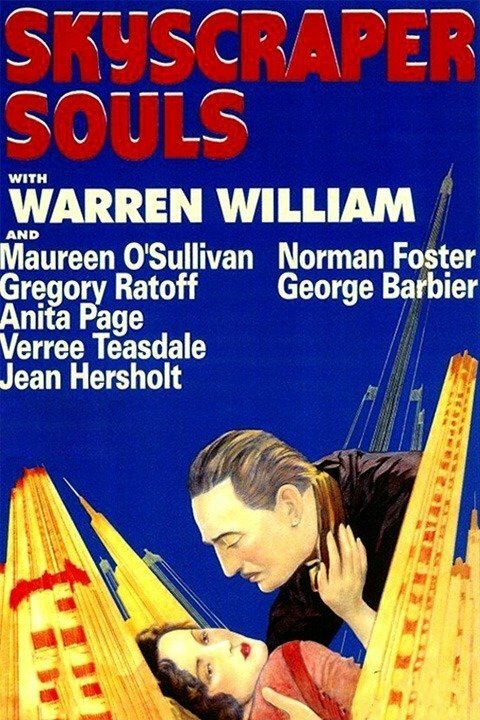 The film Skyscraper Souls (1932) was based on a book by Brooklyn-based writer Faith Baldwin. Here William portrays a cut-throat New York City real estate developer whose 100-story skyscraper stands as a symbol for greed and power on the verge of the market crash of 1929. (Read an insightful take on the film here.) Spoiler alert: the film ends badly for nearly all involved, but particularly (surprise!) for the young working woman: See the film’s unmistakable visual warning to women here). In New York City, “one million women march to work each morning,” a March of Time newsreel from the 1930s states. But … wait for it: you DO NOT want to join them! (You can find this odious propaganda here.) It’s hard to “kill the dream” of the young girls who wish to go to New York City, but, the film warns, it really must be done. Not only might you find yourself “fallen” at the end of your stay, you might be forced to work as a taxi dancer or clip joint worker. And you might, you just might, find yourself staring into the dreamy eyes of Warren William. But don’t be fooled by his urbanity; he is the sin, the city, and the sinner. 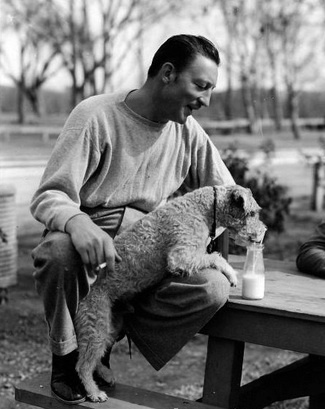 By all accounts, Warren William was a heck of a good guy in real life, happily married, hard working, and an animal lover! But that’s Hollywood for you: if you make a good picture, you just might be able to change how people view reality. I’m just glad that women kept coming to New York, kept pursing their dreams until Hollywood could catch up with them. *The superstition related to “three on a match” is rooted in the experience of soldiers as far back as the Crimean War (revived in WWI). To light a match long enough to light three cigarettes was time enough to be spotted by the enemy. The third party on the match was said to be doomed to die soon.